Do you want to operate a successful bar? Your success depends on developing regular customers and attracting new ones. It sounds easy, but any bar owner or manager can tell you that these things can be a challenge. Between the economy and competition, you can’t snap your fingers to bring clients through the door. 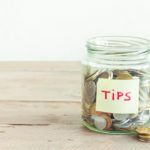 These eight operational tips will help you with the daily challenges of the bar business. Every bar owner has a great idea for their business’s theme in their minds. Too bad not every bar does the best job at reflecting this theme. For example, what color scheme and wall decorations should O’Malley’s Irish Pub feature? If you guessed green walls and neon shamrock lights, you’re right! The point is, the only way your bar is going to have a theme is if you, the owner, decorates it that way. Your customers want more than cold drinks, they want an atmosphere. So give it to them with the proper bar décor. What does your bar menu look like? Is it an amazing display of the drinks and food that you offer, complete with pictures? If not, you better get started on that right away. The best bar menus are ones that are made by professional graphic designers. These bar menu designs feature engaging text and photos that highlight your food and drinks. If your bar is known for steaming hot mozzarella cheese sticks, show them off on the menu. The same thing goes for all those craft beers you offer. (A picture is worth a thousand words… and sales.) Be sure to showcase what makes your bar special, and your new menu will pay for itself many times over. Are your food and drink prices too high, too low, or just right? This is an important question for any bar owner. If you’re bar drink prices are too low, you won’t make the profits you need to stay in business. If your prices are too high, your customers might opt to go somewhere else, or drink at home. It’s best to set your prices according to the total experience the items and your bar provide customers. When you hit that pricing sweet spot, you’ll have happy customers and your bar will earn great profits. You have to know the jobs in order to train your staff to do them. There will be days (and nights) when employees don’t show up. You’ll need to know how to cover for them when this happen. Your employees will respect you more if they know you can and will pitch in to do these jobs when needed. Are there any areas of your bar that you’re unfamiliar with? If so, make the time to get in there and learn these tasks as soon as possible. Your customers come to your bar as much for the experience as they do for the food and drinks. This is why it’s vital that you hire the best people for each position in your bar. Keep an eye out for people who are personable, outgoing, and professional looking. These skills are more important than previous experience. (You can always train someone to be a good bartender or wait staff.) You can’t train someone to be friendly and social. They’ll either have those traits or they won’t. Make sure you choose people who do when hiring your bar staff. Once you hire your staff, it’s time to train them. 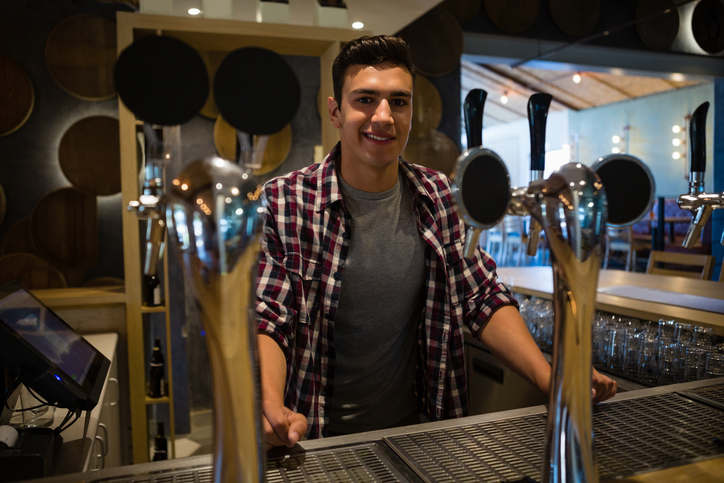 Training new bar staff is one of the biggest investments you’ll make in your business. Take the time to train everyone you hire to represent your business to the public. A properly trained staff provides the best customer service. This keeps bringing customers back to your business. This is the key to your bar’s success. While it would be great for bar staff to motivate themselves, sometimes owners have to get involved. There are many ways that bar owners can excite and motivate their employees. Try hosting employee contests, employee of the month programs, and staff outings. These things make your employees feel appreciated and deepens their connection to your business. It’s well worth your time to provide these and other opportunities. If you don’t, you could end up with employees who just go through the motions. This robs your customers of the customer service and experience they’ve come to expect. Get the latest inventory tracking software to track your drink sales. If you don’t use software, at least get a liquor scale. Use measured pour spouts with all your rail bottles. If you don’t have pour spouts, require bartenders to use a shot glass or jigger when making drinks. Require bartenders to do an open and closing daily inventory of drinks. An food and alcohol inventory helps standardize your services and helps prevent theft. If a bartender or cook gets too generous with their favorite patrons, your bar inventory management system will catch it. If you’re new to this, research your industry to find the best food and liquor inventory control systems. If you want to improve customer service and earn more profits, get DIRECTV for your bar. Your customers love it, and they’ll stay longer and order more food and drink when you have satellite TV. (This is especially true if they’re watching a game at your bar.) We call this phenomenon “beer math,” and it really multiplies your bar’s profits. Signal connect is an AT&T Preferred Dealer. We’ll match you with DIRECTV programming, satellite equipment, and everything else you need. If you want to learn more about offering a commercial DIRECTV account at your bar, call us at 866-726-4182. We hope you enjoyed this installment of how to build your bar business. 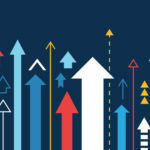 These eight tips will go a long way to streamlining your business and making it more profitable. We at Signal Connect love to share business tips with bar and restaurant owners. In fact, we love it so much that we’re going to share another eight tips for owning a bar on this blog. 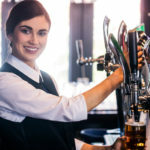 It is a follow up to this piece, and it’s filled with more helpful information to make your bar the best that it can be. Check it out now, bar owners! This entry was posted in Bars and Restaurants and tagged bar, business, restaurant. Bookmark the permalink.